Here you will find current and past issues of the Tetiaroa Society newsletters. Overcoming obstacles is what turtle hatchlings are all about. This little one just dug itself out of the sandy nest that its mother had dug deep to protect her eggs from predators. Now, as the sun rises, the hatchling makes its way to the lagoon in full sight of its predators. Each obstacle reduces its chance of survival, but there is no giving up - climb! Much like the little turtle, Tetiaroa Society is committed to overcoming the obstacles which lie between today and the day when the atoll will be rat free, and one invasive predator of turtle hatchlings will be removed from the equation. If you would like to give a hatchling a boost, you can help us fund the Habitat Restoration Program. 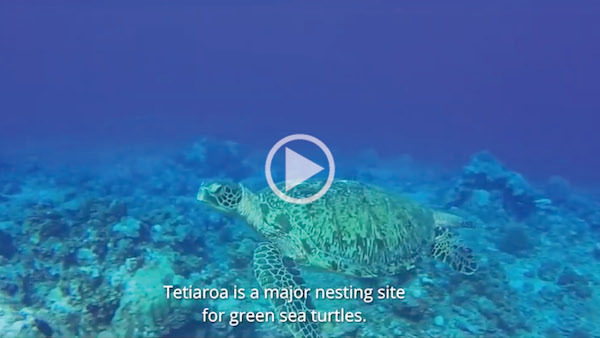 This video presents efforts to understand and protect the green sea turtles that are nesting on Tetiaroa. It is a collaborative program led by a local non-profit called Te Mana o te Moana with the Government of French Polynesia, The Brando Resort, and Tetiaroa Society as partners. The goal is to understand their nesting behavior in order to manage Tetiaroa as a sanctuary for these amazing animals. Moana is moving on to new adventures and and we wish him all the best. Tetiaroa Society was very lucky to have had Moana's steady hand, his dedication and teamwork, for his five years of working on Tetiaroa. 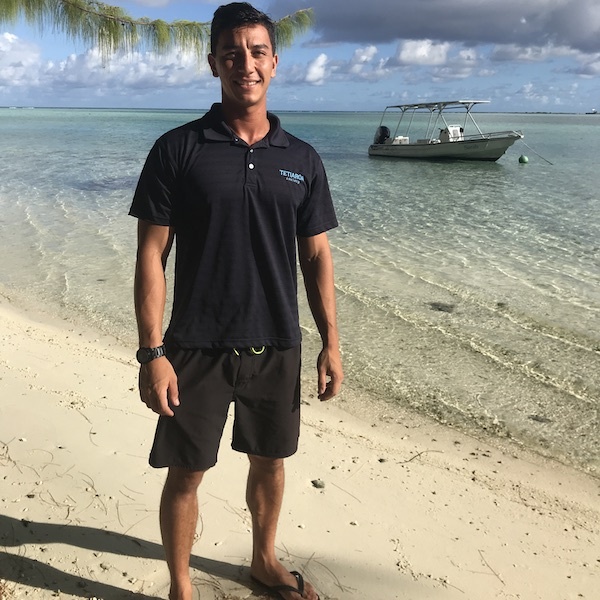 You may recognize Teva Beguet from our October 2018 email when we introduced him as a Tetiaroa Society Guide. We are glad to share the news that Teva will be taking on the role of our new Head Ranger. Congratulations Teva! The 'itata'e is graceful and enchanting, and seems to have descended straight from the heavens. In Polynesia, similar to all native bird species, the 'itata'e is a messenger or incarnation of a god. For the 'itata'e, it is the god Tane, who is known as the god of all beautiful things and allowed light to enter the creation. On Tetiaroa, these brilliant white seabirds are easily seen in the famous Pisonia grandis forest on the motu Reiono, alongside black noddies that also nest on these large native trees. The chicks will turn their backs to you when you pass by so that they cannot see you anymore, while the parents fly overhead to keep a watchful eye. Motu Reiono is the first motu to have benefited from the removal of invasive rats, which posed a huge threat to nesting seabirds, turtles, crabs, and other native species. Now free from predation, white terns can reproduce in the primary forest without losing their eggs and young to invasive rats. Was this fairy i'tata'e' delivering a message from Tane? 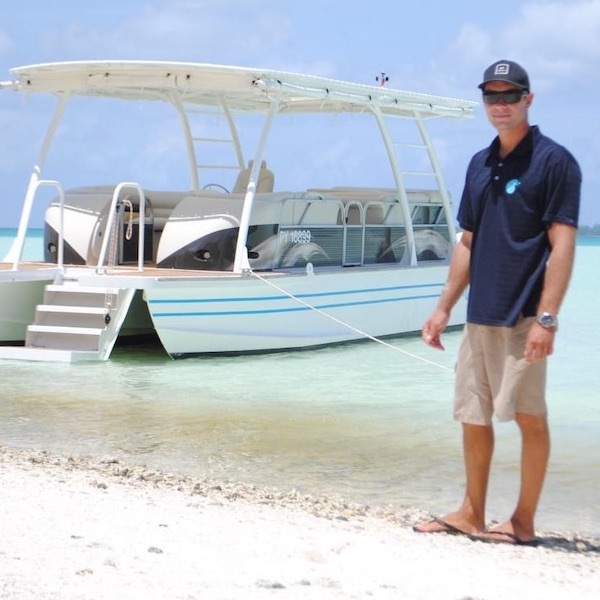 Tetiaroa Atoll provides critical nesting habitat for green sea turtles and native birds. Unfortunately, invasive rats pose an ongoing threat to the survival of their young. But, there is hope. 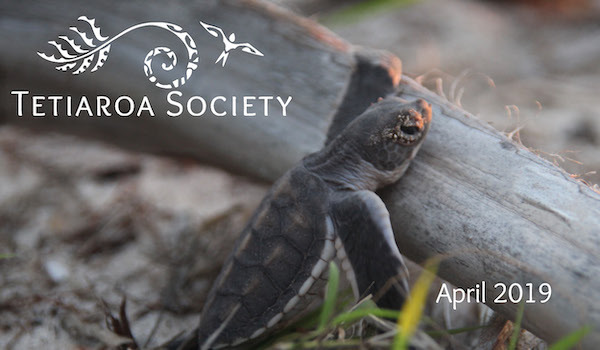 Together, we can protect sea turtles and other native species by removing invasive rats. What? You're not a subscriber yet?